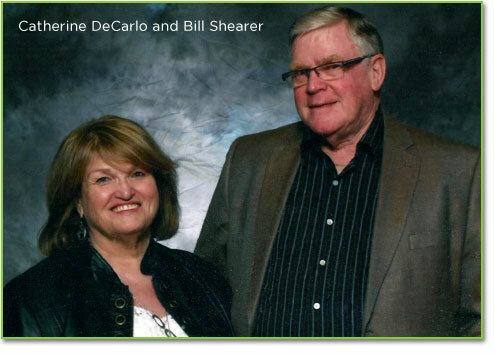 WNS Process Service is owned and operated by Bill Shearer and Catherine DeCarlo. We have been serving the Central and Eastern Ontario area since 1993. We are a hands on owner-operated business. We offer exceptional value and consistent, friendly service while working continuously to improve our facilities and performance. We know the area and the people who live here. When it comes to locating people and places in this region, we are second to none. We achieve our goals by listening to our clients, agents and employees. By caring for the well-being of our agents and employees, they extend care and concern for our clients who are the life-blood of our enterprise. Bill Shearer spent 25 years as a Land Survey Technician conducting land surveys and performing searches in the Land Registry Office. WNS began life securing, restoring and maintaining defaulted properties as well as serving the documents which eventually secured these properties for the financial institutions. We have now specialized in the document side of the business. Catherine DeCarlo has been a Controller and Office Manager for many years and now looks after the administrative side of the operation. The bigger the challenge the more she enjoys it. Both Bill and Cathy, partners in life as well as in business, maintain a sense of humour in the challenging situations and a compassion in the cases that require it.